Usher out the cold and welcome in the warmth by joining us on April 17th and/or 24th for DRIP, our upcoming event. Sate yourself with a sumptuous feast that includes an aperitif, five-course meal, wine, digestif, dessert, and coffee for $100.00. 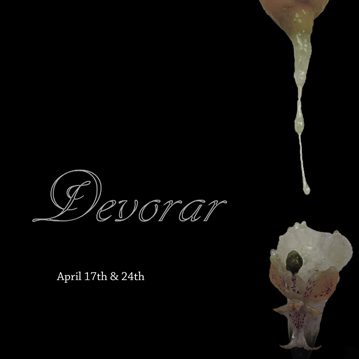 To RSVP for one or both dates, please email us at rsvp@devorardevorar.com. We will respond with further details and instructions.